Creating Shared Innovation Centres is part of the strategy of the City Hall of Barcelona to promote technological progress in the city and make the public services more efficient, promote partnership between the City Hall and the ICT industry to promote the development of digital society and strengthen the brand image of Barcelona as an innovative and technology. Shared Innovation Centres are multidisciplinary collaboration places created with the objective of generating innovation proposals for ICT. 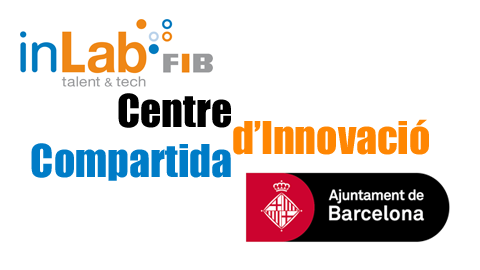 The Municipal Institute of Computer Science of Barcelona has signed a collaboration agreement with the UPC for the creation of an Shared Innovation Center -SIC- ICT inLab FIB UPC. The SIC aims to identify new opportunities for innovation in ICT technologies in public administration and in particular on mobile applications, geo, smart cities, collaborative Internet, services to citizens, and analyzing large volumes of data. In addition there will be a special emphasis on giving impetus to the inLab Talent Program. If you want to share experiences, have ideas, know some initiatives or you want to make proposals for innovation on any of the above areas please get in touch with us. We also recall that last March 11 at Brussels, the European Commission declared Barcelona as the first European Capital of Innovation. The catalan capital beats Grenoble and Groningen, the other two finalists, after a selection process which also competed Paris, Espoo and Malaga.